The super admin of G Suite (previously known as Google Apps) is the most important user account for managing the various Google services for organizations that used various hosted Google cloud computing, productivity and collaboration tools, software and products such as Gmail, Calendar, Drive, Docs, Sheets, Slides, Forms, Hangouts, and etc. 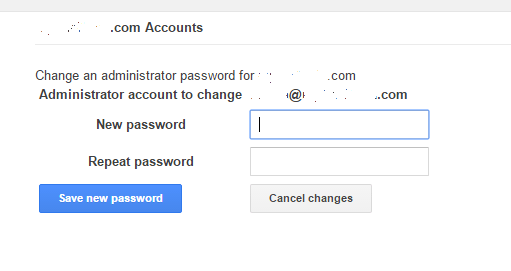 If you forget the user name or password for the G Suite admin account, or want to gain access to G Suite admin console for the domain that was previously managed by others, but was unable to recover or reset the username or password as you don’t have access to recovery email or phone options, Google provides a recovery process through domain verification, which allows you to reset the password of G Suite admin user account if you successfully passed the ownership verification and provided correct information about the account. Enter a valid email address (NOT GSuite admin email address which the password you want to recover) that you have access to, where Google will send a “Google Password Assistance” email to initiate the password reset request process. Hit Continue with domain verification button when done. The CNAME record (based on example above, should be googleabcdefghijkl389583.domainname.com) has to point to google.com, allowing to view a Google’s 404 page when you click on the CNAME’s URL. Each domain name registrar or DNS hosting service provider has different way to consider the DNS records, so you need to consult the domain hosting server or DNS hosting service if you don’t know how to do it. 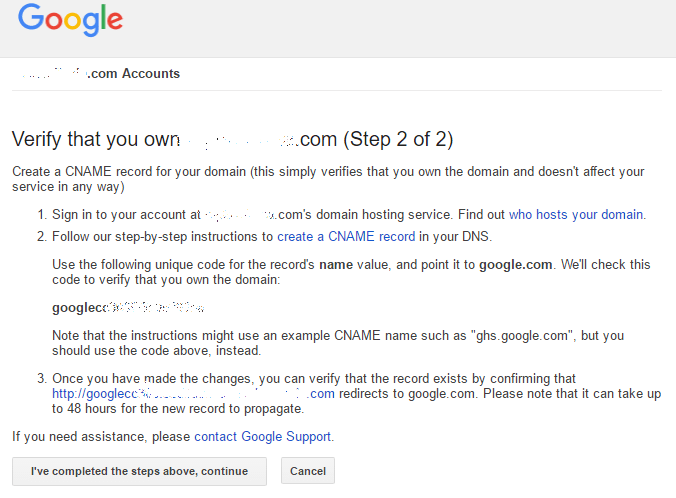 Once the CNAME record has been added to the domain’s DNS, hit I’ve completed the steps above, continue button. If you wish, you can wait for a few minutes for the new DNS records to propagate across the Internet. Note that CNAME record changes can take up to 72 hours to go into effect, but typically it should takes effects in a few minutes. After a few minutes (or sometimes hours), you should receive an email from Google with the title of Google Password Assistance. Click on the link inside the email to initiate the process to reset password request. In this step, you have to answer several questions about what you know of the G Suite or Google Apps account which the admin account you want to gain access to. Answer as many questions as accurately as possible. You can skip the questions (leave blank) that you have no answer or cannot remember. The number of accurate answers determine whether you get to reset the admin password directly, or have to contact Google Support to recover your account. 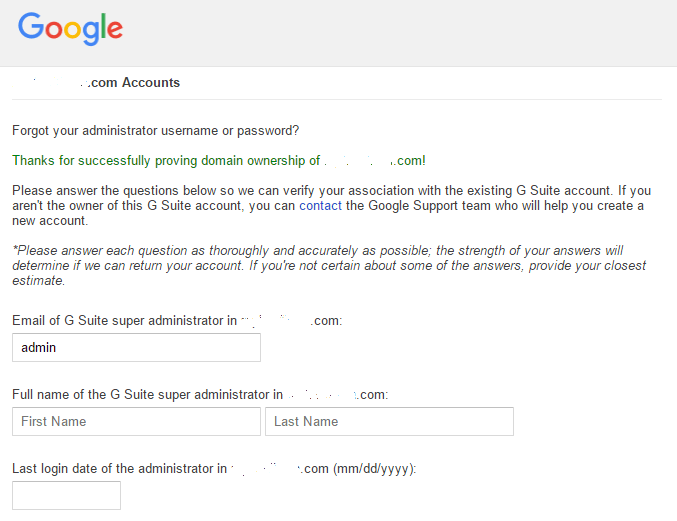 If you manage to pass the domain info verification (typically answer 3 or 4 questions correctly), you’ll be prompted to change the administrator password for the G Suite / Google Apps domain. Hit Save new password when done. If you can’t remember or you don’t know any information about the G Suite account for the domain, you’ll be presented with contact options for Google staff to help you.